1. Adopt the correct posture when you sit, stand, walk and complete everyday tasks. An improper stance overburdens the back and applies extra pressure to nerves. 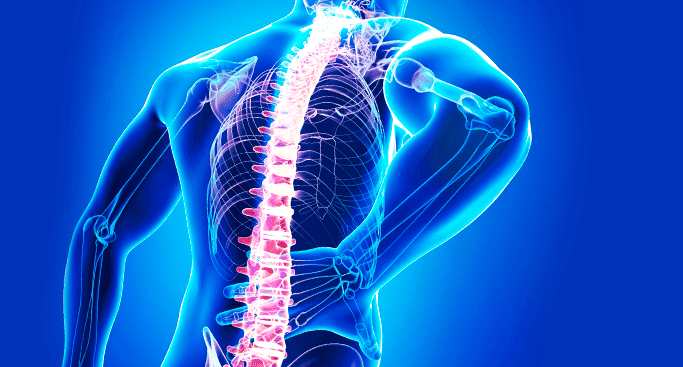 Even when the pain seems to come from work or exercise, your posture may have contributed to it. 2. Relax your body and brain to relieve pain. Try to meditate, practice tai chi, breathe deeply or listen to calming instrumental music. Your state of mind has a significant impact on physical health. 3. Perform exercises that enhance your flexibility. A rigid, tense body often experiences greater discomfort. You may benefit from yoga; focus on your legs and hamstrings. 4. Don’t give up exercise because your body hurts. Fitness frequently relieves this type of discomfort and plays a major role in back pain prevention. A short walk can make a big difference. However, it’s wise to avoid any demanding exercises that could strain your body. As you engage in fitness activities, strive to boost the strength of your abdominal muscles. You can easily strain your back and various torso muscles if you don’t have strong abs. 5. Use a mattress that provides adequate back support. Don’t sleep with your stomach down; this will probably intensify the pain. If you usually lie on your back, consider placing a pillow underneath your knees. 6. Don’t smoke cigarettes or use any product that contains nicotine. This substance contributes to back discomfort by reducing blood flow. Study results indicate that tobacco users experience more pain in this area than other individuals. 7. Forgot wearing a back brace for extended periods of time. Only put it on briefly when you need to pick up heavy objects or perform other difficult tasks. Long-term use will reduce the strength of core muscles and increase your dependence on the brace. 8. Don’t stay in bed for several days. It may be helpful to rest for a few days after an injury. However, you’ll probably encounter more discomfort if you spend a week in bed. Light exercise frequently yields better results. 9. Consider speaking to a therapist if you consistently feel anxious or depressed. Persistent negative emotions often exacerbate pain. You may also feel little motivation to take steps aimed at alleviating discomfort. To sum it up, you may work toward back pain prevention and relief in many different ways. It’s worthwhile to learn new techniques and make a few changes to your daily routine. Professional therapists can help alleviate this condition as quickly and safely as possible.